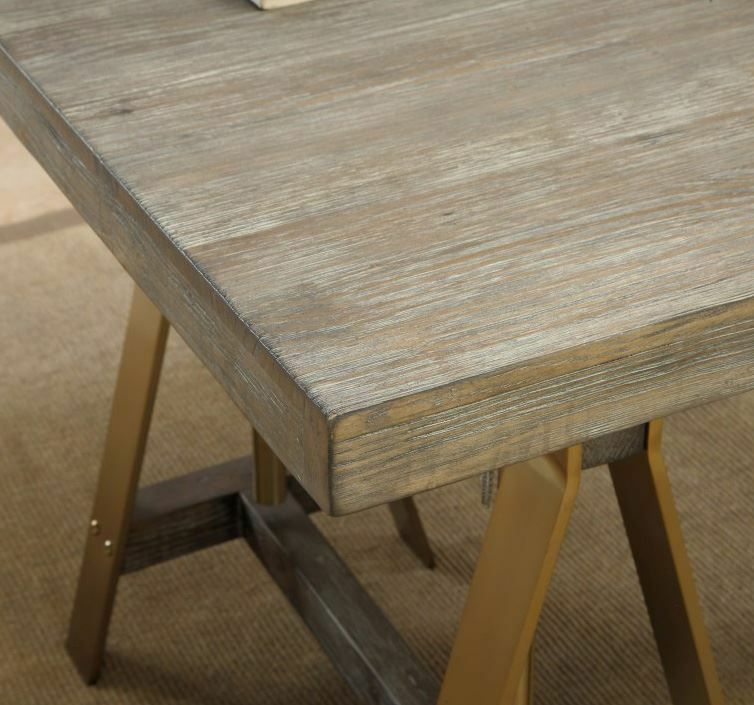 Looking for an adjustable dining table desk to suit your needs? 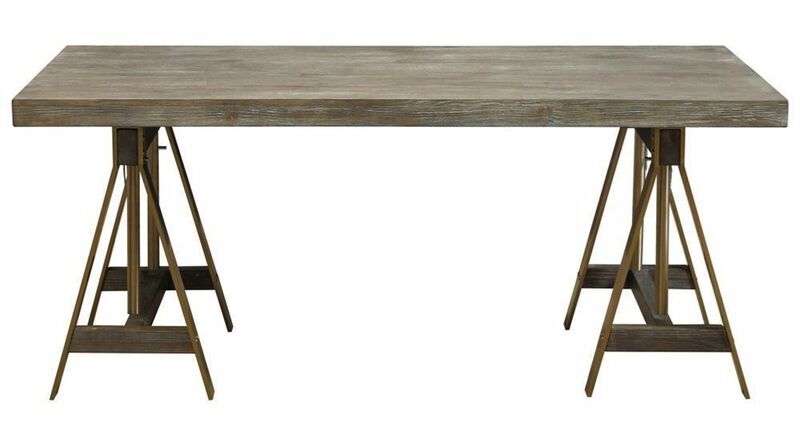 The Biscayne Adjustable Table Desk may be just what you had in mind for your space. 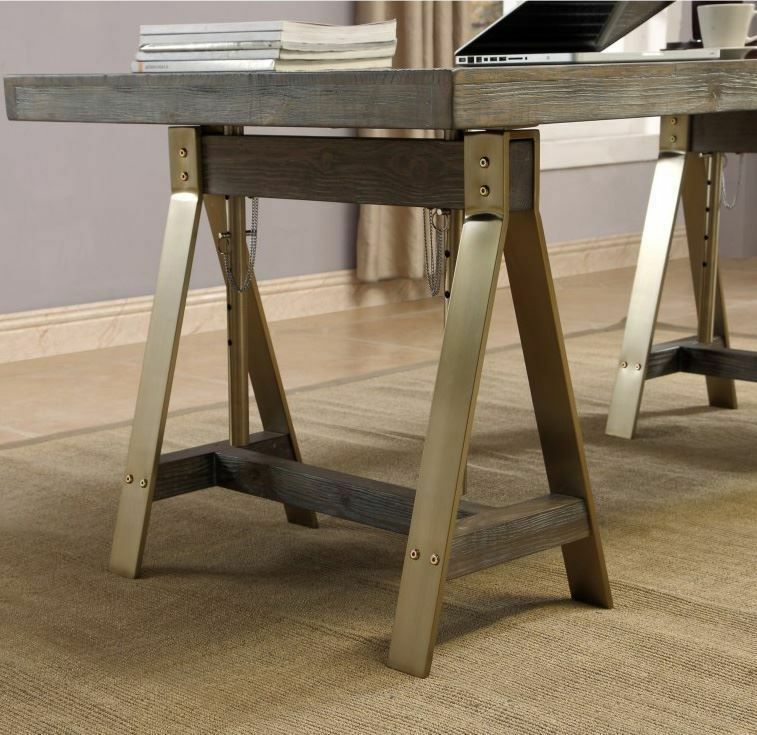 Made from solid wood and wood veneer with a lovely burnished gold finish, this versatile table desk can easily adjust to your preferred height. 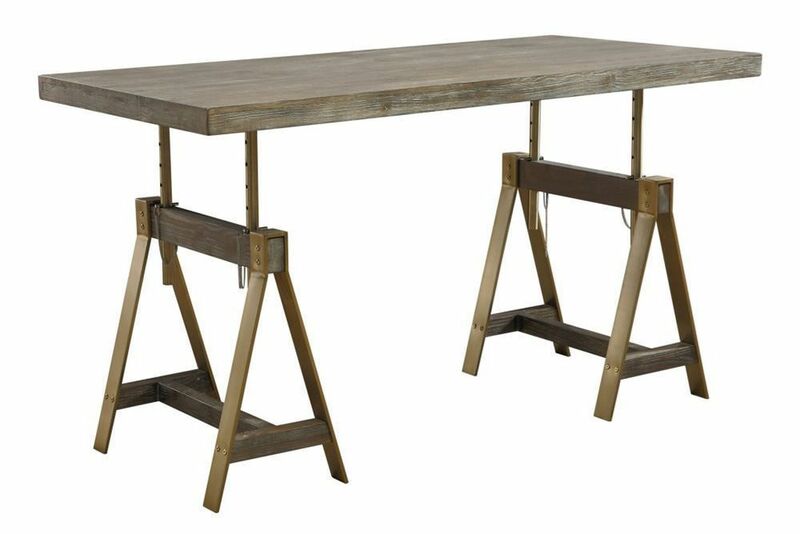 It features industrial style metal and wood saw horse style legs, perfect for a decor style that could use a hint of industrial flair. 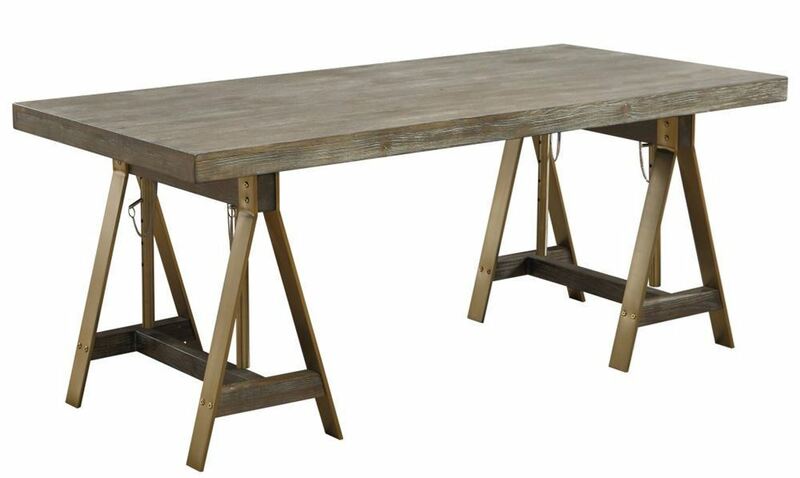 Bring the Biscayne Adjustable Table Desk home to your space today! 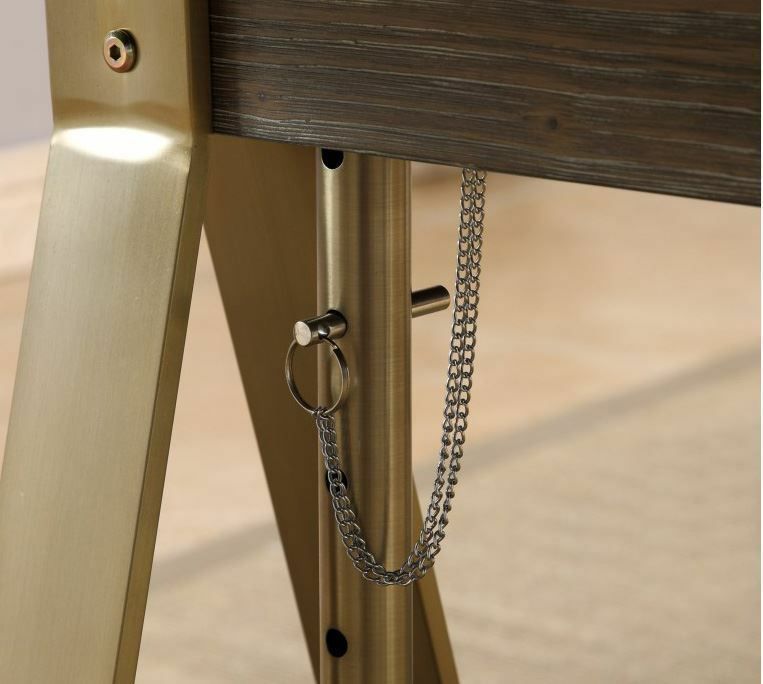 Looking for an adjustable dining table desk to suit your needs? 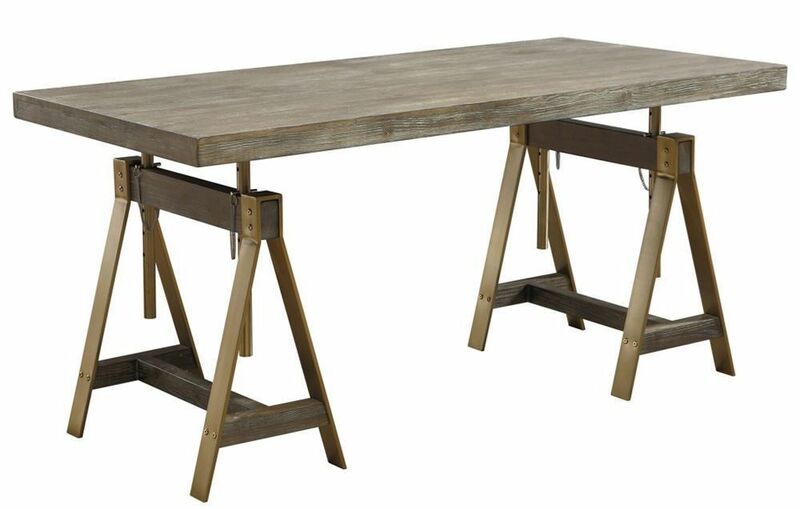 The Biscayne Adjustable Table Desk may be just what you had in mind for your space. 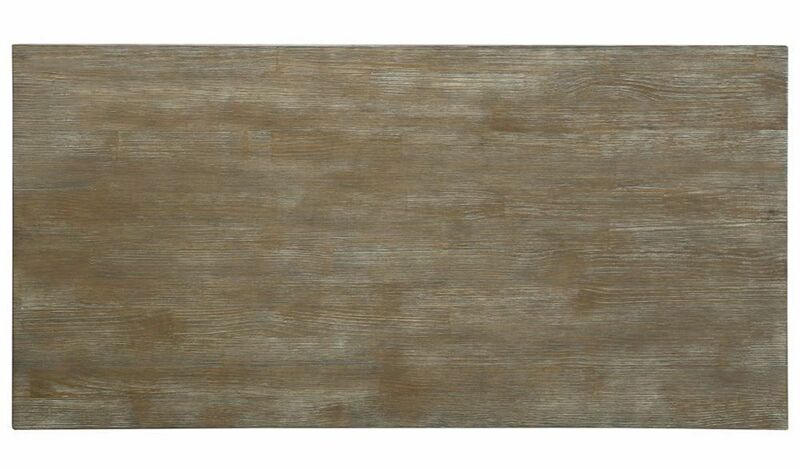 Wood veneer and stainless stell.